It’s something Miles Wood began to take more and more notice of, especially in 2017-18. 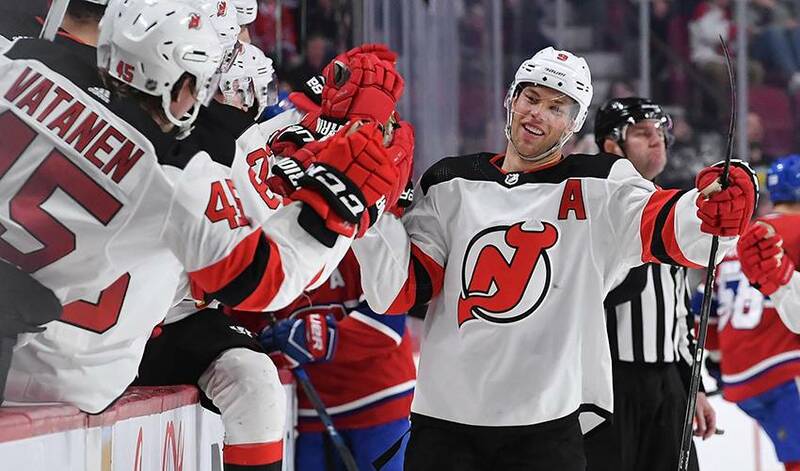 The young New Jersey Devils forward, in his second full NHL season, was well aware of his teammate’s blazing speed. Wood, certainly no slouch in the speed department himself, also took notice of Hall’s uncanny ability to control the flow of a shift. Hall is in the midst of his best NHL season. The 26-year-old has set several career offensive highs, including in goals and assists. How impressive has he been? He even managed to net a first for himself against Montreal on April 1, a 2-1 Devils road win. As time expired on a New Jersey too-many-men infraction, which gave the Canadiens 52 seconds of 5-on-3 hockey, Hall popped out of the penalty box, took a pass from Travis Zajac, swooped towards the Montreal net and lit the lamp at the 15:53 mark of the third. It was Hall’s first-ever shorthanded tally and the winner. Or do the same for his teammates. As for what Hall is ultimately after, the answer is quite simple: he wants to experience playoff hockey. The first overall pick of the Edmonton Oilers in 2010 has yet to skate in an NHL post-season game. The Devils last made an appearance in 2012. Expect to see one of the game’s most dynamic offensive stars dial it up a notch if the Devils make the Eastern Conference cut. And a player who can hit pause and then play in a split-second.